Please let me know if you need me to send out your order in a rush. Lovely tiny ivory branches flower woven into a crown. would be lovely for an outdoor garden wedding. 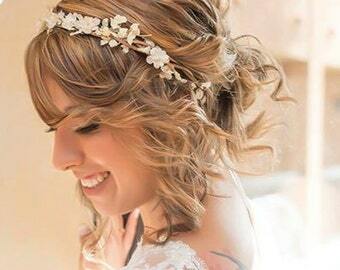 This flower crown is lovely for a bride just want a simple flower crown without all the big flower fuss. 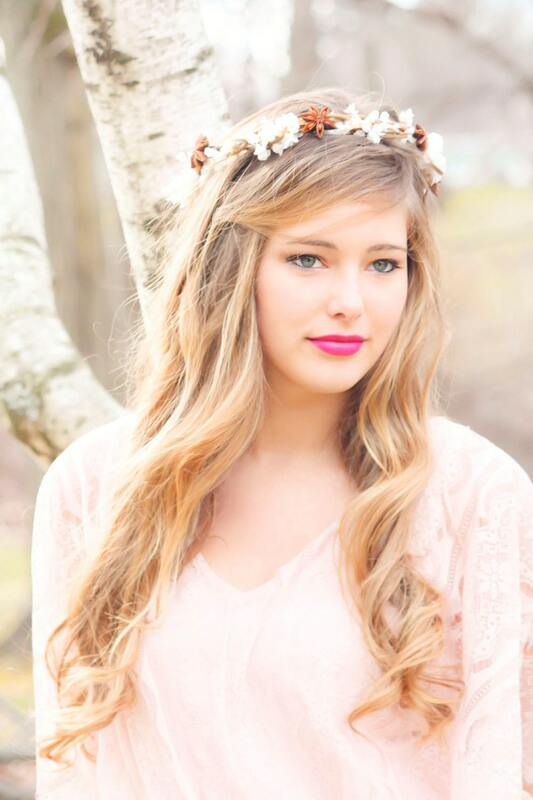 flower crown size 21 inches with ribbon in back for perfect fitting. Payment is expected at the time you place an order and I only accept PayPal and Credit Card at the moment. Buyers are responsible for return shipping costs. If the item is not returned in its original condition, unused/unworn. the buyer is responsible for any loss in value. Please contact us through conversation prior to return shipping. **Oversea customer please do not use your work/company or hotel address...international usually have a Import duties, taxes, and charges that the company will not pay for and therefore will return to the post office and then if no one pick it up it may get return to seller. *To prevent return shipping to the origin, please make sure to leave your phone number on the order note for the safe post service to your address. INTERNATIONAL LOVELIES --- Please knows that the shipping price is for First Class International/Air mail. It may takes anywhere between 2-4 weeks for delivery and there is no tracking available for it. If you would like tracking for your package it will be an additional $20.00 extra for Registered International Mail. *You may upgrade it to Priority Shipping but the turn around time isn't that much of a significant difference, the extra cost will be $15-$20. *The faster way is with Express shipping and that service is $40.00 extra. It will take about a week but again no guarantee for international order on any service...but there will be tracking. INTERNATIONAL CUSTOMERS: Occasionally, customs will hold your package "hostage" until you pay your customs fees required. Please pay attention to the dates given, as they will return the package to me if you don't pick it up by the time requested. Damaged items during shipping. I have all items packed carefully before i send them out. But if during shipping any accident happens that damaged the item/package, please contact me and we will work something out. Due to United States federal law, Serenity Crystal DOES NOT ship to the following countries: Burma (Myanmar), Cuba, Iran, North Korea, Sudan or Syria. Any transactions which originate from and/or request shipping to these countries will be cancelled and your money refunded. I will contact you when I have shipped your item(s) out via Email, and would appreciate it if you could let me know when you receive them and if they are satisfactory. Please keep in mind that the ways of Canada Post are known only to Canada Post. While shipments to Australia tend to arrive in 5 business days, those to much closer Wisconsin can take two weeks. Please be patient, I know it can be frustrating (it is also on this end as well). Delays at customs are not uncommon. Contact me if you ever have a question on anything regardless. The best way to reach me is in Etsy in conversation. Or you can email me @ serenitycrystal2009@yahoo.com but it might take longer.